Welcome to the Faculty of Classics at the University of Oxford and of its two sub-faculties of Classical Languages & Literature and Ancient History & Classical Archaeology. The Oxford Classics faculty, with some sixty permanent post holders, is one of the largest in the world, and Classics students never have the sense of being in a small minority within the university: over 150 undergraduates and almost 100 graduates are admitted to read classical subjects each year. We can offer an unparalleled range of undergraduate and graduate courses, catering for a huge range of interests. The Faculty hosts three research centres and over twenty research projects, while the research of individual faculty members covers almost every aspect of life, literature and art in the ancient world. In the 2014 Research Excellence Framework (REF) results, Oxford Classics is rated as having created the largest volume of world-leading (4*) and internationally excellent (3*) research in the UK since 2008, and is ranked second nationally in the proportion of its research rated world-leading. The Research Excellence Framework is a peer-review process to assess the quality of research in UK higher education institutions. You can find out more about Oxford’s results at www.ox.ac.uk/research/research-impact/ref-2014-results. The next REF will be conducted in 2021. 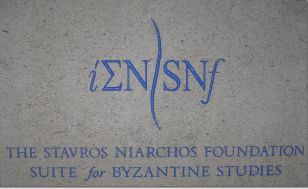 The creation of the Stelios Ioannou School for Research in Classical and Byzantine Studies at the University of Oxford is a result of the exceptional philanthropic commitment and generosity of the Ioannou family for which the University is most grateful. The School is named in honour of the highly successful industrialist and philanthropist, the late Stelios Ioannou. The late Stelios Ioannou was born and raised in Cyprus and in 1940, as a young man, he co-founded the construction company Joannou and Paraskevaides (J&P). The company established an excellent reputation, extending its business activity overseas and attaining international recognition. With operations spanning more than six decades, today J&P has entered into its third generation of successful international business. Mr Dakis Joannou and his son Christos, together with their partners, have consolidated the company's worldwide position in the Middle East, Cyprus, Greece and Eastern Europe, in the fields of construction, concessions, real estate development, hotel investments and energy projects. The late Stelios Ioannou together with his wife Mrs Ellie Ioannou exercised a wide range of philanthropic activities. These include the Christos Stelios Ioannou Foundation, a model centre for people with learning disabilities, established in the mid 1980s in memory of their son Christos, as well as the Saint Christopher's Home, an organisation, founded in the late 1990s, which aims to safeguard the dignity and quality of life for people with special needs. The Ioannou family is represented on the Chancellor’s Court of Benefactors by Mr Christos Ioannou, son of Mr Dakis Joannou and grandson of the late Stelios Ioannou, together with his cousin Mr Stelios Christodoulou. The name of Mrs Ellie Steliou Ioannou, wife of the late Stelios Ioannou, is engraved on the Clarendon Arch alongside the names of Oxford's other great benefactors. 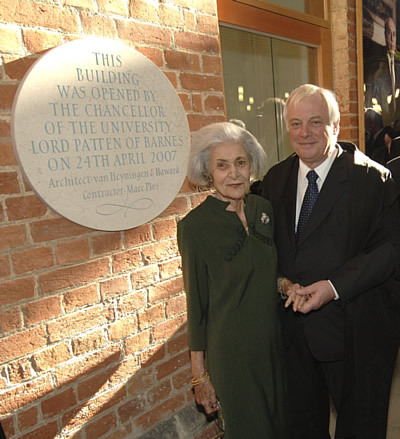 The Ioannou family are the founding benefactors of the School. The Byzantine Rooms within the building were also made possible by a generous benefaction from The Stavros Niarchos Foundation. A plaque commemorating the Byzantine rooms is proudly displayed in the entrance to the centre on the second floor.